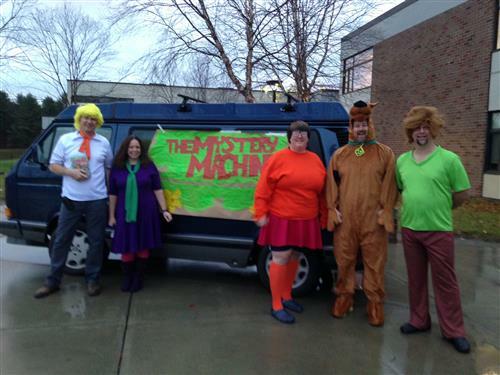 As some of you may have seen, this Halloween our school played host to the famed Mystery Machine and it’s crime-busting crew. Shaggy, Scooby, and the rest of the gang were sighted outside the main doors, greeting students as they entered the school. But did you know that their stay was not as benevolent as you may have assumed?